My love for Malaysia knows no limits. There’s so much to see and so much to do in this South East Asian country and the best part of it all- it is very accessible. Penang is one of those places where you need to go when you visit Malaysia for their delicious food. 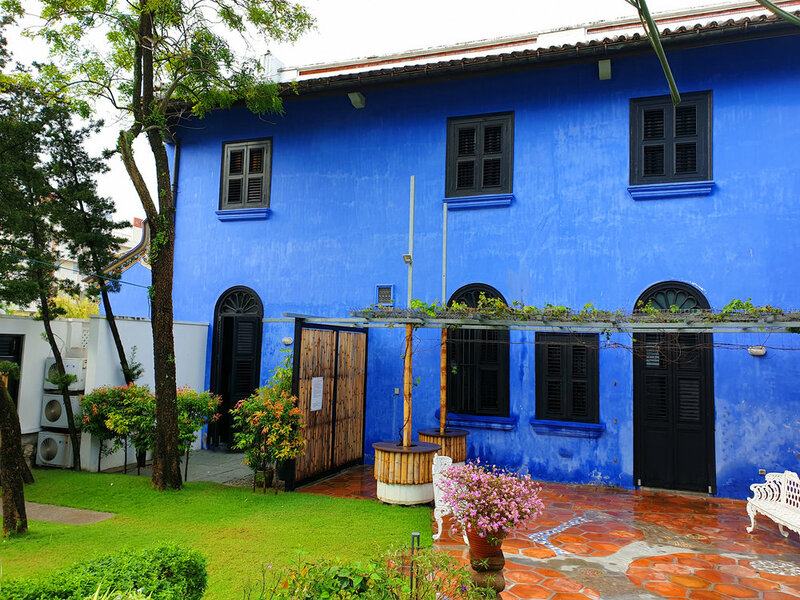 But, being a history lover, there’s something that caught my attention more - the heritage sites all around and one of the places I stumbled across before we flew to Malaysia was this blue mansion. There was a scene from the blockbuster movie “Crazy Rich Asians” which was shot here. Although I hadn’t watched it, it hyped up the mansion a little bit more. The mansion was built by Cheong Fatt Tze whose journey is a ‘rags to riches’ story. 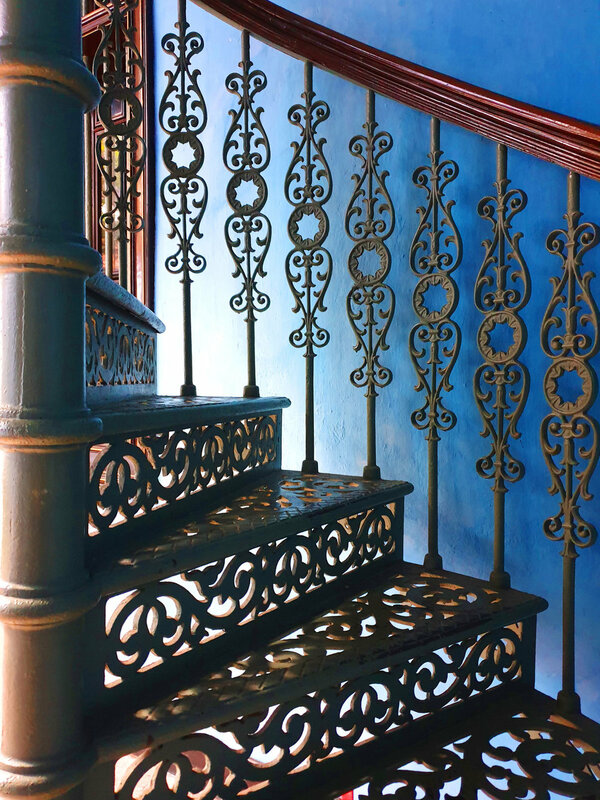 Named after the Chinese businessman referred to by westerners as the Rockefeller of the East, this beautifully restored mansion mixes Chinese architectural elements with British styles that were all the rage in Georgetown when it was built in the 1880s. 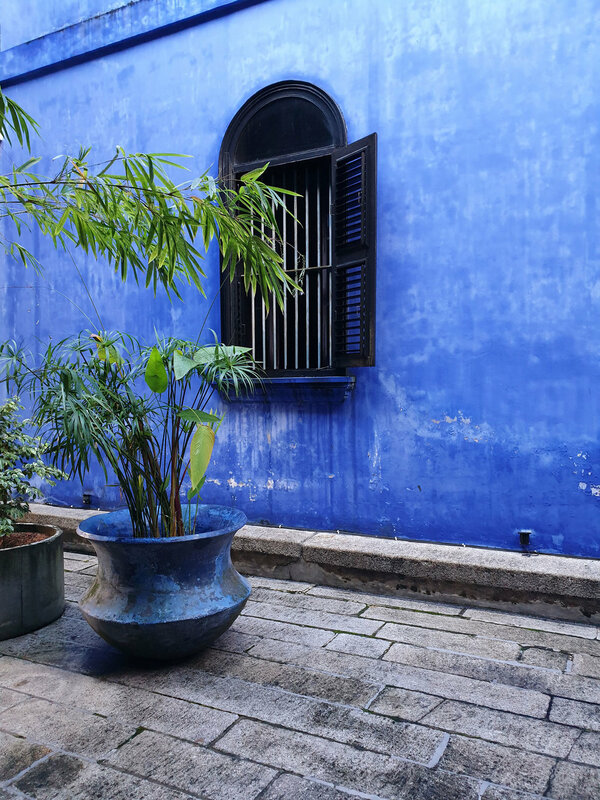 Brilliant blue paint graces its exterior, that's why it is also called The Blue Mansion. Within, you’ll find Art Nouveau-style stained glass windows, cast iron works made and shipped in from Glasgow, and exquisite floor tiles created in Stoke-on-Trent. Take your time to appreciate the beauty of this architecture. 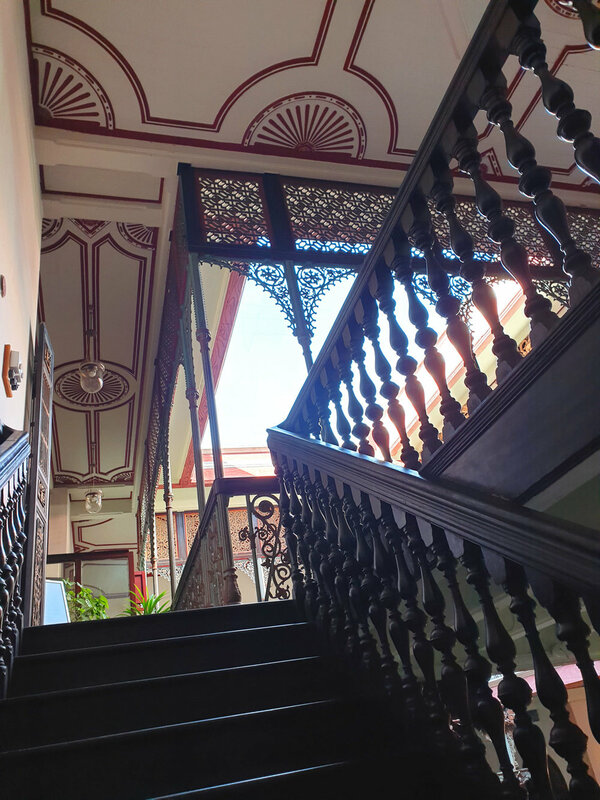 The mansion has been completely restored as they say that it had dilapidated a bit after Cheong Fatt Tze passed away and had been turned into a slum. The current owner restored it to its current state and the project has been awarded to be “One of the best restoration projects in the world.” Great care has been taken to restore the property as authentically as possible - even the uniform of the staff is the traditional ‘sam-foo’ type of clothing. 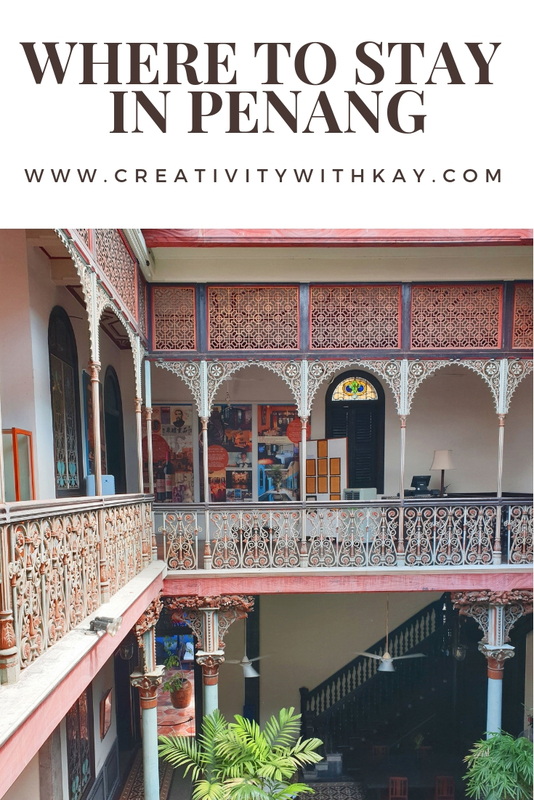 A multiple award winning mansion situated in Georgetown itself, it is one of the must-visit attractions in Penang even if you are not staying here. You can get a guided tour of the place even if you are not a guest of the mansion 3 times a day. I preferred to stay at the hotel and see more of it as I was sure that since it worked as a hotel a lot of places would be off-limits during the tour. While we were at the mansion we were staying at the Ming Room - a large ground level room with pool access. They have tried to make sure we get a proper dose of culture when we are staying there. There was a set of sarongs in the room for those who want to try wearing them. 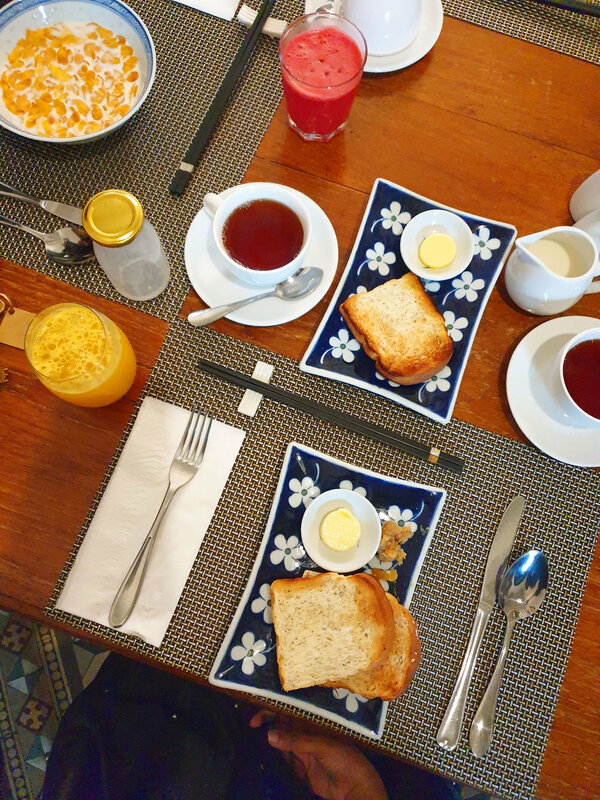 Breakfast spread features some dim sum, porridge, bread, jams and the usual type as well as a list of made-to-order food like omelette, pudding, udon, cheese platter. I wished there were more local breakfast options like roti canai, roti jala, curry noodle, Chee Cheong Fun, Nasi Lemak, Char Kway Teow, Assam Laksa, bread toast with kaya butter and half boiled eggs, etc. Our stay at the Cheongg Fatt Tze Mansion was nothing short of brilliant. The details, the colors, the workmanship are truly show stoppers. The pictures that got me wanting to visit the place were in no way deceiving and the place promises more brilliance than all the pictures around. All in All, we were happy and don’t regret visiting the place.